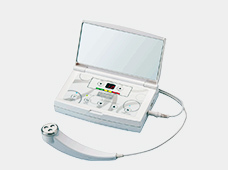 The Esthetic-Electropolation System is a cutting-edge cosmetic technique that draws out beauty effects by using electropolation. It is a new cosmetic technique administers effective elements to the deepest parts of the horny layer of the skin by using the physical properties of special electric pulses given to the epidermis coated with beauty serum. Before giving treatment, coat the part of the patient’s body to be treated with the corresponding beauty serum. Use the EP Essence ½ Series purification products, sold separately. Electropolation probe applies current to the skin when element and inductor are placed on the skin. When 1-Point element is used, you can treat the detailed area such as the eye area and lips. The original waveforms based on our unique theory provide feelings of comfort as well as beauty effect. 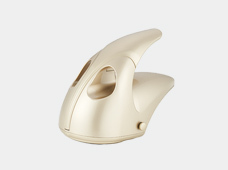 Maximum power differs depending on selected probe so that it can be used for both facial and body treatment. It can be adjusted up to 6 power levels depending on your preference. 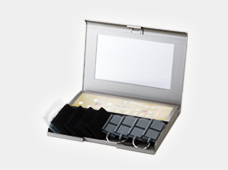 By adopting swing level meter, you can check body sensory information visually. The main body is embellished with Swarovski premium crystals as decoration. 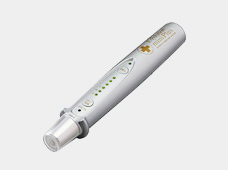 * The probe has 3 elements and wider contact area improves efficiency of treatment. It is best for treating cheeks, forehead and neck line. Compared to 1P mode, its maximum output is increased by approximately 30%; therefore better beauty effect can be achieved. 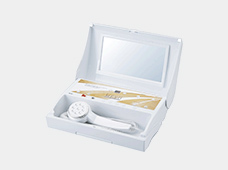 * The probe has 9 elements made for body treatment and wider contact area improves efficiency of treatment. It is best for treating abdominal, upper arm, thigh and calf. 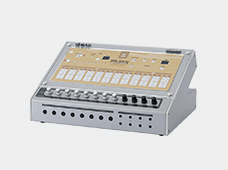 Compared to 3P mode, its maximum output is increased by approximately 30%. 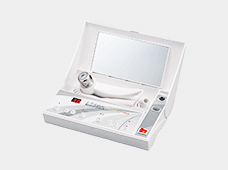 “E-Polation Portable” performs a variety of treatments in one unit depending on the type of probe selected with the “EP Essence 1/2 (Half) Series” used, so it is possible to expect a wide range of beauty effects.